Keeping people cool and comfortable even during the hottest and most humid days of summer is the mission of the AC service Casselberry has grown to trust, professionally provided by DC / AC Air Conditioning and Heating. For over two decades, central Florida homeowners and business people alike have known they can rely on the absolute professionalism and integrity of the experts we hire. They carry out our primary objective of flawlessly delivering exceptional Casselberry AC repair. People love Casselberry for its outstanding weather, sunshine infused summertime days, palm trees and proximity to all the exciting options central Florida has to offer. When things get hot during those summer months, it’s nice to know you have the services of professionals from DC / AC Air Conditioning and Heating to keep your home or business environments cool and comfortable. We’ve been happy to provide the AC repair in Casselberry Florida that has been trusted for over 25 years. An A+ rating with the Better Business Bureau and being named the Best AC Company by the Orlando Sentinel Best Bets are two accomplishments that we are not only proud of, but we humbly hope to continue for many more years. 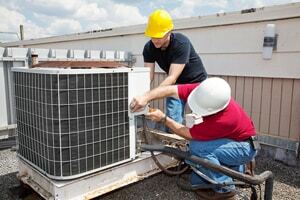 We do this by hiring only the best and brightest among professional HVAC repair specialists. Our core company beliefs are to provide affordable AC repair Casselberry can depend on, with a high level of professionalism, diligence, attention to detail, integrity and honesty. You can trust the recommendations of those who have vast experience in all the nuances of the business and residential AC repair Casselberry FL has come to depend on. 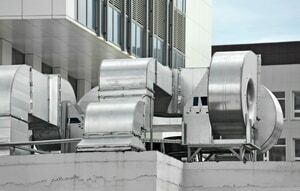 You want the very best AC system to fit your budget and your unique cooling needs and that is exactly what we provide. 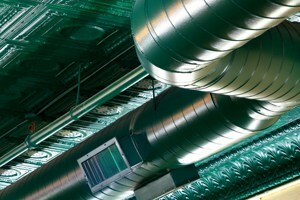 We maintain a devotion to delivering the best quality of HVAC service you can find in central Florida. The AC repair Casselberry needs is a critical factor to being able to truly enjoy life in this semitropical, humid environment. Heat and humidity are no match for the expertise of professionals who know exactly how to handle it. It’s good to know you have experts you can rely on waiting to help you in times when your air conditioning doesn’t seem to be cooling the way it should. Our technicians are fully licensed, bonded and insured and we back their integrity and professionalism. They’ve made providing the exceptional AC repair Casselberry needs their number one objective. The expert AC repair Casselberry has hoped to find is conveniently located right where you need them. You call and we’re there for you. We know you’ll enjoy the most courteous and hassle-free AC service Casselberry and central Florida has found to meet all their HVAC needs. DC / AC Air and Heat is known for keeping a close eye on the hard-earned, stellar reputation we’ve earned for excellence in Casselberry air conditioning repair. We make sure that when you call for service, you receive prompt and timely service, repair work that is done neatly and with as little interruption to your busy household or work routines as possible and exceptional service from real experts. When things get hot in central Florida, you don’t have time to mess around with someone who will not be up-front with you about your issues and what can be done to correct them. You want the kind of expertise that leads to total satisfaction with every facet of your Casselberry AC repair experience. We know that satisfied customers lead to sterling recommendations and repeat business. We maintain the highest standards in the professional HVAC service you need to keep your home or business environment comfortable.